Vintage Roger Federer. It’s a phrase every commentator, scribe and fan has probably uttered at least once in their lives when discussing a winning performance from the Swiss champion. Incredibly, we’re still using it 12 years on from his first Wimbledon title. That year, in 2003, Federer’s silky smooth strokes - a throwback to the legends of the wooden-racket era - finally delivered him a Grand Slam title befitting his talents, and opened the floodgates to many more. 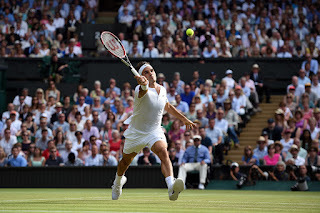 On Sunday, he will stand just one match win from another - an eighth Wimbledon title, an 18th major singles crown, and another piece of evidence in his case for the title of Greatest of All Time. Federer’s 7-5, 7-5, 6-4 victory over Andy Murray in Friday’s second semi-final drew praise from all quarters. Murray admitted he had simply been outplayed. 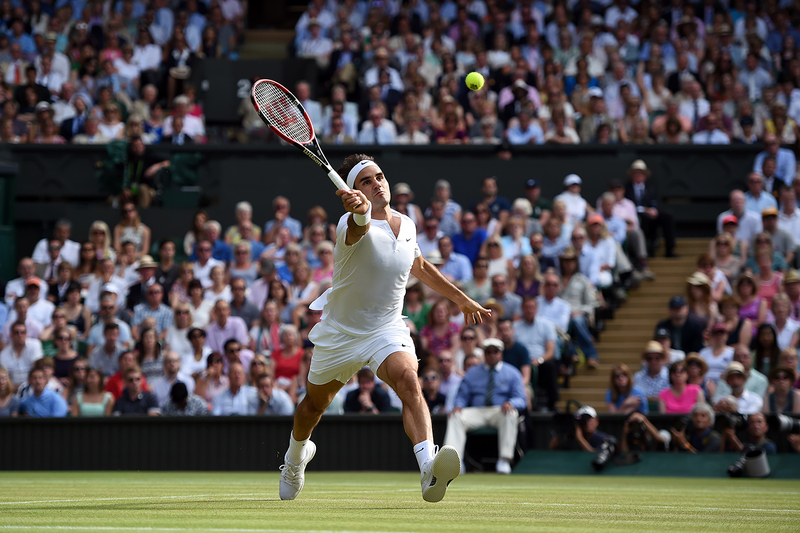 The statisticians revealed he had struck 56 winners against just 11 unforced errors, and 20 aces to boot. The first question of Federer’s press conference was one asking if it was the highest level of play he had attained in his career. Murray agreed. “That's definitely the best he served against me,” the third seed said. It wasn’t just the serve that was clicking for Federer. It was everything. All elements of his game worked in harmony and contributed to the relentless pressure Murray faced on Centre Court. His forehand was venomous. He cracked his backhand sweetly. He pounced on anything short. His movement was cat-like. He expertly varied his play, slicing and dicing to chop up the rhythm of rallies. And then there was his composure. Federer has always possessed a cool demeanour, but he was completely serene. Many a player would have been frustrated when five set points came and went - that’s exactly what happened in the 10th game of the second set, when Murray survived a thrilling game to level the scores at 5-5. Yet Federer was unperturbed. He played a forehand winner to nudge ahead 6-5 and broke serve in the following game, nabbing a two-set lead with a winning volley. That vaunted serve helped keep Federer’s nose in front throughout the third set; he exceeded 80 per cent for both first serves landed and first-serve points won. Leading 5-4, the Swiss then dazzled the crowd with a sublime running backhand passing shot to bring up a 0-30 lead. He broke serve a few points later to seal victory in a touch over two hours. That shot - which typified his entire semi-final performance - sent him through to an incredible 10th final at the All England Club, an Open era record. A month away from his 34th birthday, he is also the oldest Wimbledon men’s finalist since Ken Rosewall in 1974. It is incredible to think that the Swiss has maintained such an impressive level for the past 12 years. The owner of almost every significant trophy and major accolade in tennis, his ability to remain so motivated at this stage of his career is unusual in the sport. “At the end of the day, I enjoy it. I work hard in the practice. In a match like this, I can have a great performance. And clearly it's an amazing feeling when you come back from the match and everybody's so happy for you,” Federer said. The final match that looms for Federer is one against top seed and world No.1 Novak Djokovic. It is a rematch of the 2014 decider, one that Djokovic won 6-4 in the fifth, a classic finale that extended almost four hours and brought Federer to tears at the trophy presentation. Everything about the final points to a blockbuster. It features the top two seeds and the world’s top two players, the two competitors in the best form, facing off in the biggest match of the world’s most prestigious tennis tournament. Players often say the better the opponent, the better the level it helps them achieve. 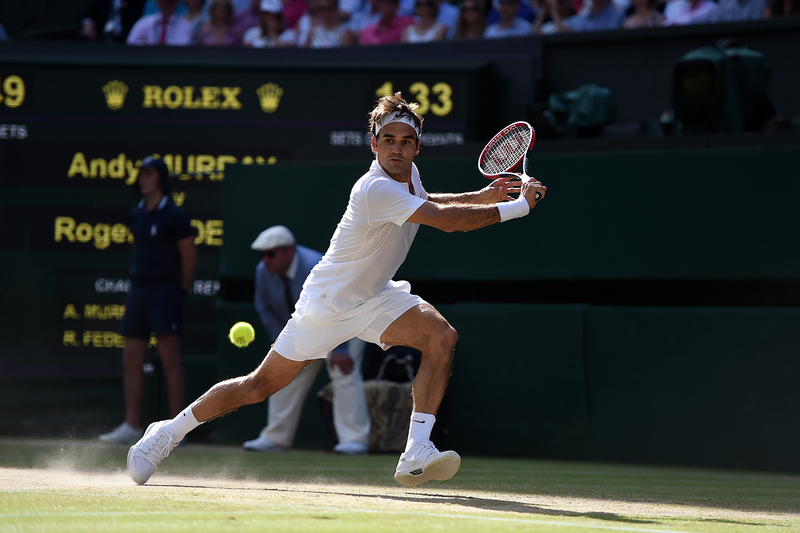 Vintage Federer could well persist on Sunday.